Whether you’re an e-commerce business or a smaller company that has frequent shipping or delivery requirements, it’s important you find a service that suits your needs. Years ago, your only shipping option was via standard mail. However, courier services have proven to be effective alternatives to mail services. In fact, courier and local delivery service is a $10 billion industry in Canada. Now, this doesn’t mean using traditional mailing service is a bad thing. But there are some big differences you may need to consider when thinking about which is better for your business. 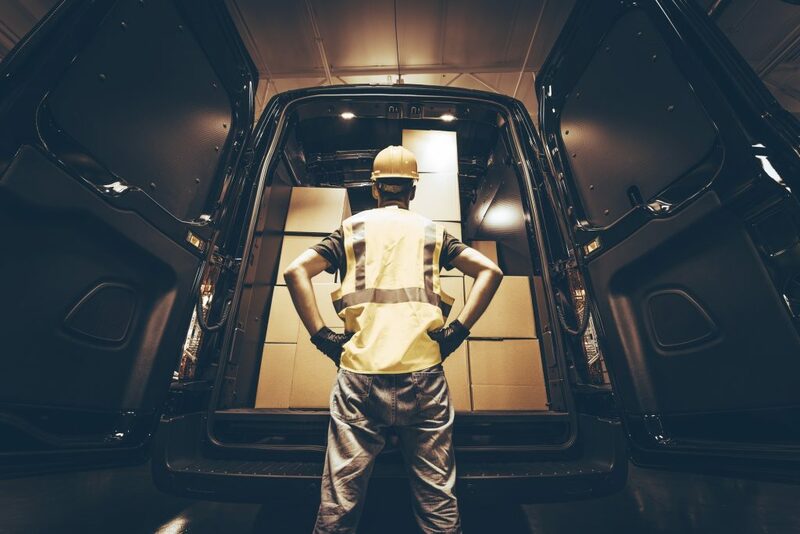 If you’re asking yourself, “What is a courier service and how does it differ from standard mail?” it may help to learn what each one offers. Keep reading for more direction regarding the delivery service you should go with. When using a mail service, they can usually guarantee your package will be there on a certain day. However, it’s not absolutely certain. Even if you pay extra, there’s still a chance your package won’t get there on time. There’s a better chance your delivery will get lost when using a mail service. Damage is also more probable. Courier services, on the other hand, make it a point to get every package to its destination on time. They also provide better care for the parcels they handle. Using a courier is a great choice if you often have urgent, last minute deliveries that must go out. A regular mail service simply can’t accommodate this. For a small fee, many courier services will hold a delivery if it needs to arrive at a scheduled date and time. This gives you more control over when a delivery arrives at its destination. Overall, couriers offer much more personalized service, tailored to meet your exact needs. Pricing is much different when using a courier over traditional mail services, and is something your business needs to consider. In the past, sending a package through the regular mail was much cheaper than hiring a courier. However, the price gap has closed considerably in recent years. If you’re only sending a single envelope or small package, regular mail service is cheaper. But if you’re business has a high volume of outgoing deliveries, a courier service is the way to go. A mail service isn’t in competition with anyone, so they don’t lower their prices to attract business. They simply charge per weight and destination. Courier services, however, offer deals and flat rates. You can also save money by entering into a contract with them. This is a much better option for a business with high demand for shipping services. Plus, you’ll have the opportunity to form a better relationship with a courier service if you use them consistently. With regard to your deliveries, if speed is important to you, a courier service is your best bet. Fast delivery is what the entire courier industry is based on. When using a mail service, you’re looking at delivery times of anywhere from one to four days, depending on the destination. You can pay more for faster service, but there’s still a possibility your package won’t arrive on time. Courier services make it a point to provide speedy service. They’ll provide a written guarantee and can even ensure your delivery makes it to its destination by a particular time of day. Many businesses require frequent time-sensitive deliveries, such as documents that needed to get signed by the end of the day. If this is the case for you, using a courier should be a no-brainer. Another great advantage of using a courier is if you know you’ll have a time-sensitive package later in the week, you can schedule the delivery in advance. One of the biggest differences between a courier and mail service is the number of delivery options available to you. Here, a courier service wins hands down. We’ve discussed some of the perks of using a courier – faster delivery, scheduling, and better care for your packages. But there are other service options to consider as well. When you work with a local courier, they’ll be able to come pick up your deliveries. No more driving to a postal location and standing in line. You also don’t have to disclose the contents of your packages to a courier service. Most courier companies also offer free tracking and confirmation once your delivery reaches its destination. This costs extra when using a mail service. You can also request that your courier delivers the package directly to a specific person. Many courier companies also offer other services like refrigerated transport, warehousing, and 24-hour service. Mail services can’t offer any of this. Some couriers will even pack your items for you and offer notary or concierge services. Depending on your needs, you can shop around for the perfect company and make them your dedicated provider for a number of business operations, not just shipping. How Much Does Convenience Matter to You? If you’re still having trouble deciding on whether a mail or courier service is better for you, ask yourself how much convenience your business requires. If you or a member of your staff can get to the post office on a regular basis without much hassle, you may save a little money with a mail service. However, if you have a higher demand for a delivery provider, a courier is your best bet. Courier companies take all the responsibility and stress away from the customer. They base their service on convenience and reliability to give their customers exactly what they want. What Is a Courier Service Going to Do for Your Business? Your day-to-day operations should be the deciding factor in determining if you need a mail or courier service. You understand your business more than anyone. How much will your staff benefit from a more personalized delivery experience? If you were asking yourself, “What is a courier service and what can they do for me?” hopefully we’ve shed some light on the subject. For more information on courier services and the shipping industry, check out our blog.